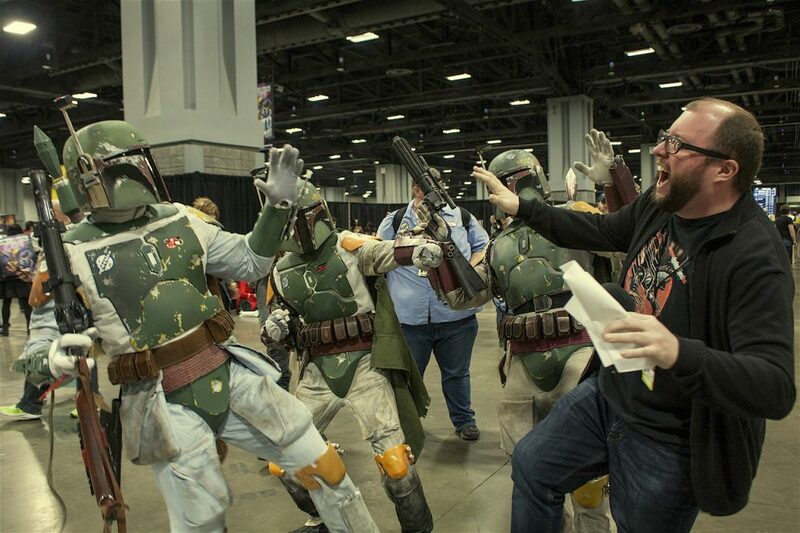 WASHINGTON: Thousands flooded the Walter E. Washington convention center in Washington, D.C. this past weekend for Awesome Con, an annual gathering that embraces all aspects of geek culture, be it comic books, television, movies or gaming. It had the traditional hallmarks of all good comic book conventions. 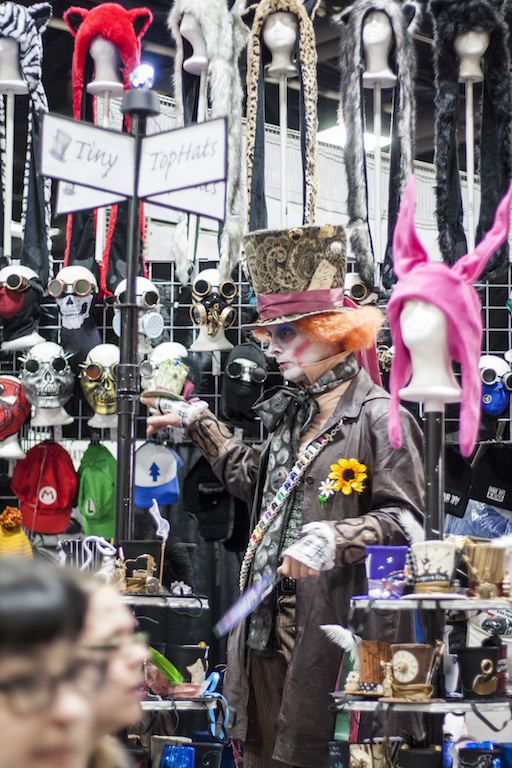 There was an exhibition hall packed with eager vendors, an endless array of panel discussions, beloved pop culture icons mingling with fans and selling autographs for $40 and more costumes than a well-stocked Halloween shop. But this year, there was something that’s been growing for years but has only really become undeniable now: a genuine sense of diversity. Lots of Superheroes at Awesome Con in Washington D.C. Photo by Ferdous Al-Faruque. George is a self-defined Blerd, a term that combines the words “black” and “nerd.” It also encompasses what he described as the different journey that black nerds face. “As a black nerd there’s always the sense of both the rejection that comes along with general nerdity, but sometimes we also receive rejection from the black community around issues of certain things that were identified as white. You know, reading comic books and liking anime and playing nerdy video games, not the ones they consider cool now,” George said. “You’ve seen over the last 15 years the evolution of the black nerd from the Steve Urkels to the Luke Cage,” George added, referencing the Marvel comic superhero whose stories have recently been adapted to a Netflix series. 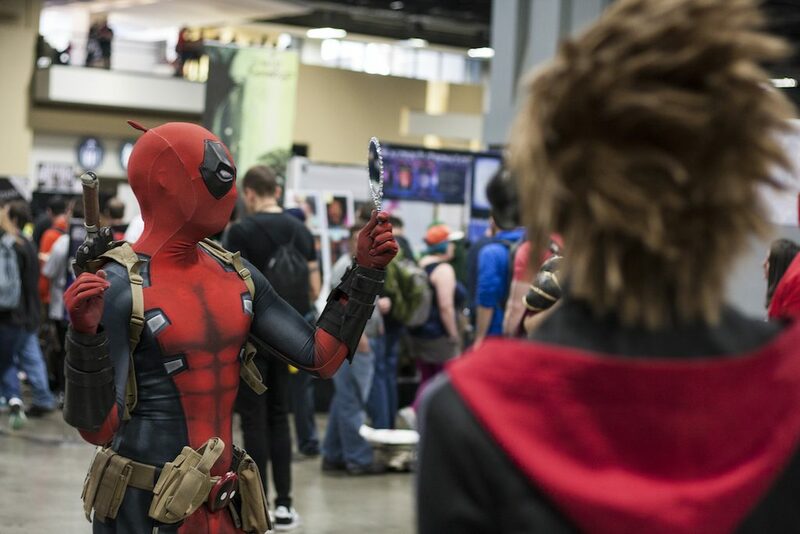 Plenty to see at Awesome Con in Washington D.C. Photo by Ferdous Al-Faruque. George spent the weekend manning a booth at Awesome Con to promote BlerDCon, an annual convention he co-founded that will celebrate its third year this July. His efforts have paid off. People are beginning to notice, even if they don’t necessarily know what a blerd is. “Welcome to the club, you already have your membership, you just haven’t read your card before,” George added with a chuckle. While George may be planning what could be considered a rival convention, he noted that Awesome Con’s organizers, as well as those behind similar events, have been supportive in its development, offering both resources and advice. In that same vein, Awesome Con teamed up this year with Geeks OUT, an organization that promotes queer representation in nerd culture, for what was dubbed Pride Alley, a section of the exhibition hall dedicated to fans and creators in the LGBTQ community. “It feels right,” Dan Deevy, the executive director of the nonprofit Gaaays in Spaaace, said when asked how it felt to see the gay community being embraced by geeks. Justin Duckham (the one we believe who is not wearing a costume) meeting a new friend at Awesome Con in Washington D.C. Photo by Ferdous Al-Faruque. Deevy’s organization was founded to celebrate Star Trek finally adding an openly gay character to its roster 50 years into the franchise’s existence. Flanked by his fellow members, including a Captain Kirk look-alike with an exposed chest, Deevy expounded on the wait that they endured. “There have been allegories to being gay [in the series], there have been alien twist and turns, there has been mirror universe stuff where the evil versions of characters could be bisexual, but there’s never been a regular, plain, old gay human,” he lamented. When longtime character Hikaru Sulu was revealed to be a gay man with a daughter in 2016’s Star Trek Beyond, Deevy described it as a significant shift. “Now we do exist in the future and you can see us,” he said. 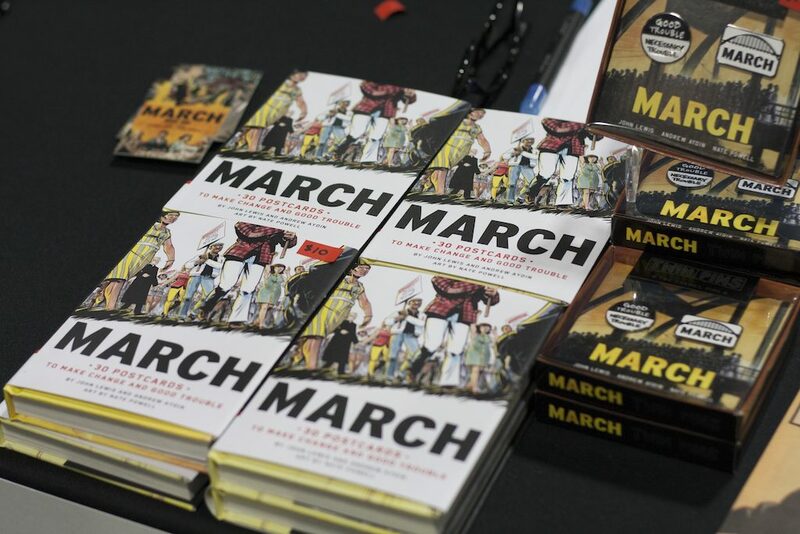 Andrew Aydin, a staffer for Rep. John Lewis (D-Ga.) who found success penning March, a widely read graphic novel series about his iconic boss’ history in the civil rights movement, said it’s not just the fans that are becoming more diverse, but the subject matter they consume as well. The graphic novel March on display at Awesome Con. Photo by Ferdous Al-Faruque. “I’m just glad we got it done when we got it done so it was here to inspire these young people who are now standing up, using the lessons of non-violence and legitimately changing our culture,” Aydin added. When asked about the make-up of the crowd, Shane Bowler, a documentary filmmaker putting together a project on local comic shops, waxed philosophical. Drawing on what he has learned from diving into the world of comics, Bowler suggested that there was a sense of community at conventions like Awesome Con that simply leads to inclusiveness. ← Why is it so hard to buy Bitcoin in the United States?